Dr. Yohler was born and raised in Indianapolis, Indiana. He graduated from Purdue University in 1971. He practiced medicine for the first 20 years in south Florida. He then moved to California in December of 1990. In 1993 he purchased the Sun Valley Animal Hospital and ran that practice until sold in 2010. He began doing relief work, filling in on vacation periods around the state. 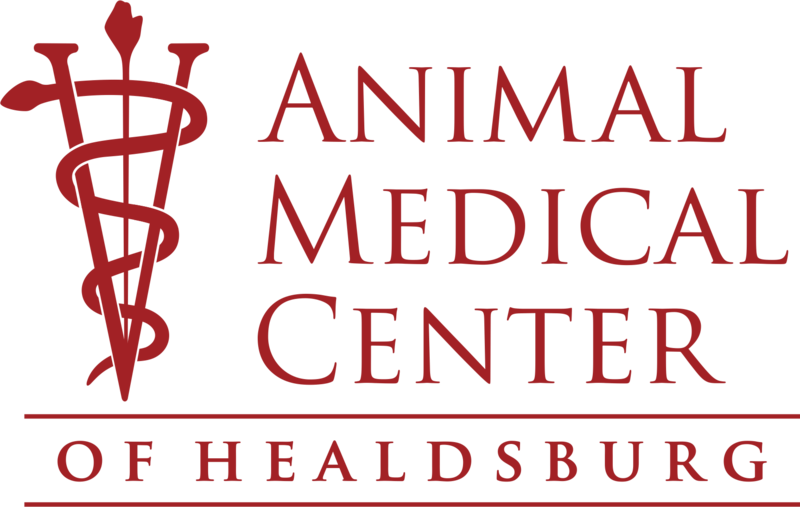 In January of 2016 he moved to Cloverdale and took over the Animal Medical Center from Dr. Baldwin. Dr. Yohler has been married to his wife Anna for 25 years and has two step daughters and eight grandchildren. His two outside interests are photography and cars. He is currently restoring two old British sports cars and hopes to be driving the Spitfire in vintage car races by the end of the year. Jessica is a native to Healdsburg and has lived here her whole life. She has been at Animal Medical Center for almost 2 years and enjoys every aspect of her job. 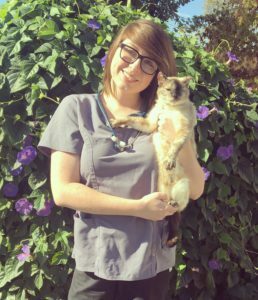 She attended the Santa Rosa Junior College Veterinary Technician program, received her veterinary assistant certification and is hoping to sit for her RVT board exams in the near future. Has a soft spot for special needs and geriatric patients. She has four feline fur children, Button, Osiris, Ziggy and a one-eyed cat named Savannah. In her spare time, Jessica loves drawing, hiking and collecting crystals. Yackelin started working at Animal Medical Center in August 2016. She has been working in the veterinary field since 2013. She is the oldest out of 7 children and moved to Healdsburg in 2000. She graduated from Healdsburg High School in 2011 and is enrolled in the Santa Rosa Junior College Veterinary Technician Program. In her spare time she enjoys to playing soccer, hiking, baking, going to the and spending time with her family and pets. She has two cats named Macaroni & Lluvia, five rabbits and red eared slider turtle. Her passion is working with small and large animals. What she enjoys most about working at AMC is being able to assist during surgeries and performing lab work.